Prevent green wood from checking while also reducing drying time. Protect wood from cracking and splitting while drying. Quick drying, non-toxic. Can reduce drying time up to 90 percent over wax-coating methods. Contains siliconized polymers. 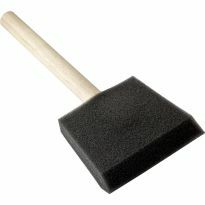 Can be applied by brushing on or soaking item if a small piece. Highly recommended for wood carving. 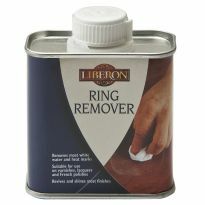 Can be finished with most stains once dry! 1 quart container. I used this to treat tree cookies that we laser engraved as memory items for a wedding. The customer was delighted and the product did exactly what I needed it to do. Easy brush application on freshly cut wood cookies, the size of dinner plates. Applied product several times after drying on subsequent days. Little, if any fumes. Used a disposable brush. It's been 2 weeks since final application and no cracking or checking. Worked great, will be getting more soon! So far it has worked very well. I will be using it again. The product worked well. I applied it with a brush, and did multiple applications over several days. It was a little difficult to tell if the wood was saturated with the product. Brush clean-up with soap and water between applications worked well. The cookies are now drying, so the effectiveness (or lack of) will be evident in the next few months. Works great when the directions are followed. Apply as soon as reasonably possible after cutting the wood, and apply it liberally. 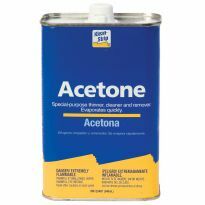 I used this product to prepare a large slab of pine in preparation to making an outdoor patio table. The product was easy to apply and I am pleased with the outcome. I prepared green wood and so far it seem to dry it out quickly. I used Pentacryl wood preservative on birch center pieces that I made for my daughters wedding. My purpose was to try and avoid the wood from splitting and cracking while it dried. I made 18 eight inch center pieces and only two of the pieces developed minor cracks. I cut a tree to make log circles for my wife to make wedding centerpieces on. They look good but I hope they don't crack or the bark come off before the wedding. Easy product to use. But a little pricey. Cheaper than buying them ready-made. I've used a lot of methods to preserve wood and this one works very well. I only gave it 4 stars because it doesn't work as well as some of them much much slower methods. 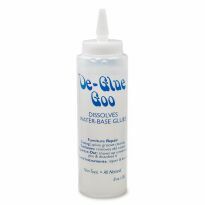 Still a great product and I will use it for 90% of my projects. Works good Wil buy it again. It is easy to use price a little bit more than I think it should be. I have just used it for the first time but it appears to do what is supposed to do. Not sure about this product. It was my first time to use it so it may be that I didn't do it properly. One of my pieces cracked on the edge and i was only able to get two slices out of the quart size bottle. My slices are very dark so maybe I left them in too long. At the price of 22 dollars a bottle it is not very economical for the projects I have in mind. As I said it may be user fault. I attempted to use this product on a disc 42" in diam. Minor cracking did occur despite a dozen brushed on coats. Also, ROcklers has yet to figure out how to ship this product without it self destructing due to lack of protective packaging. What arrived twice were 2 broken bottles with the oil spread over the shipping container. Using this to create turned nib pens and coasters from green wood. So far it works great. Heard great things about the product. Suppose to be the best on the market. Gonna give it a try. 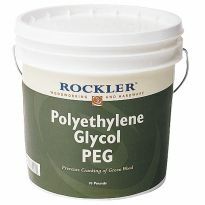 It has good reviews, and I have been satisfied with other Rockler products. I am making a end table out of a slice of a log. I am using this to prevent splitting while it is drying. To slow down the drying process of wood pieces so they don't crack. Using g a large tree slice as an outside coffee table. I have purchased other products from your company and I been very satisfied. 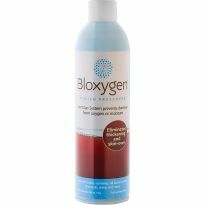 This product seems to be the top recommended product for preserving green wood. Pinterest showed making Christmas ornaments from wood chips - this product is supposed to prevent the wood from cracking. I hope! I want to make wood "cookies" for use as coasters and needed something of prevent the wood from cracking. Then I will add a topcoat. Hope this works because nothing I have tried so far works. I have been working with cedar and needed something to help stop the cracking of the wood when it dried. I did some research and thought this would be a good product to use. I'll find out if it was a good choice when I receive it. I work with green wood that often splits when drying. Am hoping this will solve that problem???? It was recommended by a friend for for use on log ends! What is the difference between PEG and Pentacryl? I am trying to make tables from green cut disks of oak, maple and popular. BEST ANSWER: Look up polyethylene glycol in Wikipedia (registered TM). There is some information about elements being toxic, but a lot has to do with the percentage by volume. The article also discusses its properties include effective displacement of water and does go into detail about the underwater wooden vessels that have been preserved using PEG. Besides the chemical make-up, there may not be much difference in the effectiveness of either product. However, before you lay out your cash, you may want to contact the manufacturer(s) directly. Can you use this on cutting boards? No, its designed for wet wood, like fresh cut logs. I use walnut oil on all the cutting boards I have made. It will dry and harden. Some people use mineral oil but it never dries. Can I paint over wood that has been treated with pentacryl? I have used this product but always left it natural. I did some internet searching and cannot find a definite answer to your question. 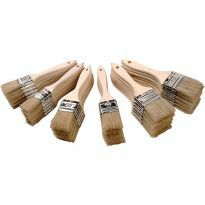 I have not had the occasion to paint wood that has been treated with pentacryl. My suggestion is to contact the manufacturer with your question. Does this product change the color of the wood? BEST ANSWER: From my experience on a few items it does not change the color appreciably. There is a slight muting of the natural wood color. We have wooden fence posts that we'd like to preserve from the Sun would this work to help from future sun damage? I'm making wood rounds (slices) for my daughter's wedding. I need a product to protect from cracking. The rounds will be 1.5 to 2 inches thick and 12 inches in diameter. 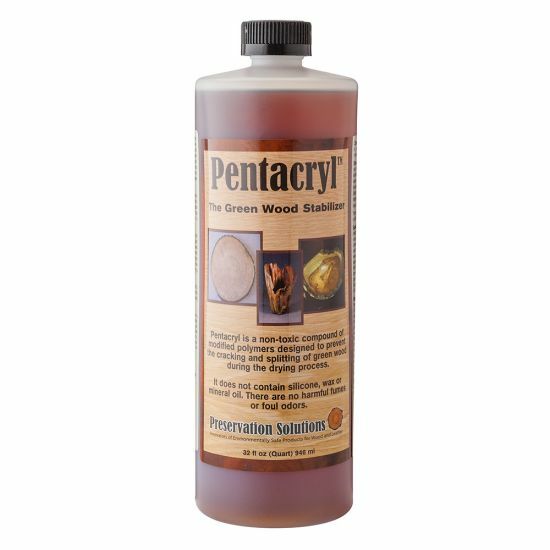 How much Petracryl do I need for 16 wood slices? BEST ANSWER: I am air drying a large about 36 inch round and it took about 3/4 of a bottle to coat both sides until saturation. I've already primed and painted the huge fir corbel that continues to crack. Can I brush this product in the cracks then repaint or do I have to strip all the primer/paint off first?